I have just bought myself a laptop and a bicycle pretty much doubling my number of possessions. I now have no excuses for not replying to your emails! I saw this poster at a tube station a few months back and it made me chuckle. Obviously David has cottoned on to how cool spoons are, I tend not to be openly critical because it is more useful to speak positively for what you stand for...but David come on! this is my open invitation for a free carving lesson. In my opinion you will never be able to create something out of wood that is more beautiful than the tree it came from. I think this is obvious, and therefore even when they are trying to make something beautiful an artist is not trying to "outdo" what was there before, but rather to highlight and impart a feeling or message unfortunately this can very quickly turn into messy beds and cut up cows. You could argue an Artist has it easy as all he has to do is make something beautiful whereas a craftsman has to make something functional and beautiful. On the other hand if you don't like the way my spoons look at least they still function and are a real bargain at £15 not £15,00000. I do appreciate some large sculptures but they are the opposite end of what I am passionate about. 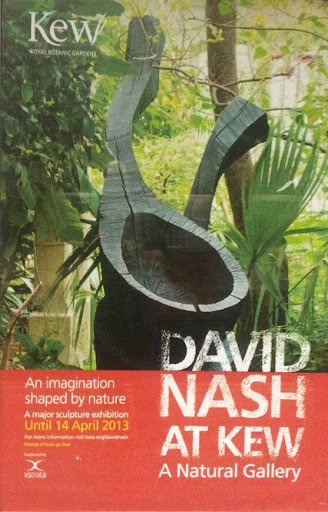 I am not slating Nash, he did some work with an axe before I was born- it wasn't done that well, but he did bring a public awareness to my favourite tool. And my first woodwork classes at the age of 6 were in a workshop with posters of his and other Similar sculptures of big wood. A lot of my woodwork in my early teens was emulating that kind of work, and is how I got into creating small sculptures that you can hold in your hand shaped with bandsaws, fretsaws, chisels belt sanders, if only someone had been able to show me then how to use an axe and knife, but back then even the experts didn't know what they were talking about. If my work has a message it is that people exist as individuals and not just part of a group, that axes and knives are part of being human though somehow we have almost completely lost their use from everyday life. I should ally myself to these artists though it pains me to. To me wood sculpture shouldn't be something expensive we just visit in a park, but something that we all engage in, well perhaps not everybody. But there would be outrage if knitting had died out, and although we don't all knit we all at least know of someone who does, I suspect carving with axes and knives will become like this. The least you could do is sharpen your pencils with a knife. We are missing something, there is a big hole left by the mass produced paraphenalia we try to fill our lives with. People crave making things particularly hard objects that exist in 3D the things that you need in your home like spoons, bowls and chairs. I fear 3D printers will prove to be a Red Herring, if you desire to bring manufacturing into the home why not try something you were designed for, holding something in your hands and twisting it around will always give you a greater understanding of 3D than manipulating a drawing on a computer screen, this is because when you hold something you are "seeing" with your hands also. Wood is a beautiful robust material by far superior to plastic, why waste hundreds of pounds on a 3D printer when you can buy a knife for £15 and get wood for free? I don't want to be a hippocrite (it is enevitable) some of my spoons are much more expensive than others, regardless of that side of my work I will always produce good quality kitchen spoons at a price that people will want to use them. And what could be more lovely than a beautiful little sculpture dancing round your kitchen.